We are pleased to announce a new feature to help you get more from the FEBS Network. 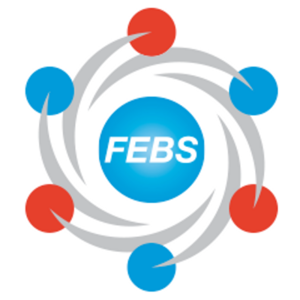 As you know, in the FEBS Network we provide content from our experts and writers in four main themed 'channels': Educator, Early-Career Scientist, Viewpoints and Research. We also have a channel dedicated to network training and feature announcements (About The FEBS Network) and a new channel that is home to news from the FEBS Constituent Societies. In addition, we occasionally create private or open 'rooms' in which we host content from room contributors for specific FEBS community groups, delegates attending certain FEBS events or scientists interested in a particular research area. With so much great content on offer, we wanted to make it easier for you to stay up to date with the topics that matter to you. That's why we are pleased to announce our new 'digest' feature! The digest is a new optional email that you can configure to contain updates on the channels and rooms in which you are most interested. You can choose whether you receive the email daily, weekly or monthly. Furthermore, you can add or remove channels and rooms from the email, change the frequency or even pause your emails at any time. In each digest email, you'll be told how many new contributions there are to your chosen channels and/or rooms and shown the latest contribution from the said channel/room. In your digest we'll also notify you about the latest room conversations and provide a link to a dedicated page that contains all the content new to your channels and rooms since your last digest. To get started, go to your digest management page (accessible at any time from Account Settings), set your digest frequency and select the channels and rooms on which you'd like to be notified. When you are in a channel or room, look out for the 'watch' button that indicates whether a channel or room is included in your digest and lets you add it to or remove it from your digest right there. Why wait? Customise your digest now to stay up to date with the FEBS Network.